“As a kid, I grew up swimming competitively and training for upwards of three hours a day was a major part of my upbringing. When I wasn’t in the pool I was surfing. In fact, most mornings you’ll still find me out there. I have a real affinity with the water . . . it’s continued throughout my life. Martin Lyall was a passionate SMART Boating share owner when the opportunity came up to buy the SMART Boating business. He’d been friends with David Grice for a long time and they had complimentary skills to bring to the table. So you could say this new role is literally a ‘sea change’. David and Martin have made big changes to SMART Boating since they became co-owners. They’ve expanded the fleet, not just in terms of numbers, but in terms of possibilities and locations. You’ll now find a diverse range of new yachts, powerboats and catamarans, all thoughtfully selected, fully spec’d and loved. 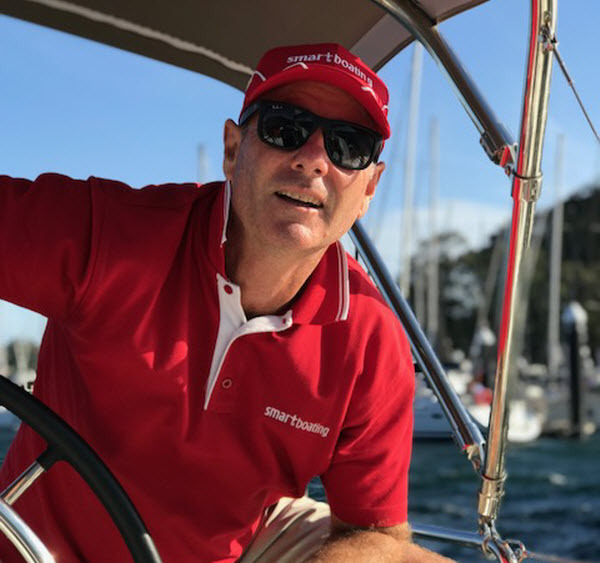 When Martin is sitting in his floating office, literally on Clontarf Marina, he looks over at the peak hour traffic going over the Spit into the city and wonders how he did that for so many years. It’s a good feeling. He doesn’t miss the corporate life and this new chapter is exciting and rewarding. Martin’s enthusiasm for boat share is infectious. It’s not just a business to him – the opportunities it provides to individuals and families gives him immense pride. Sharing a boat is something he talks about with real passion – and there’s an authenticity to his relationship with every SMART Boating boat owner. 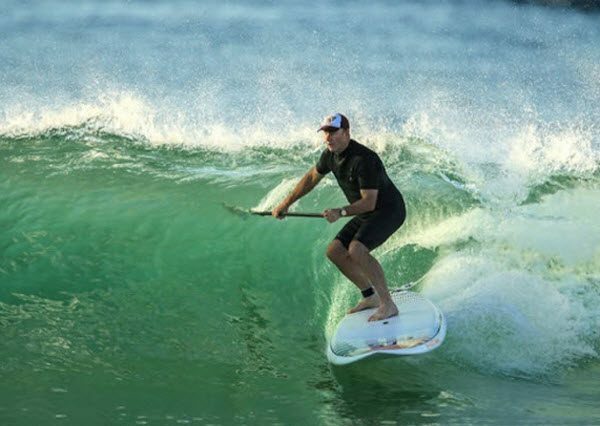 He still surfs every morning and is a self-confessed golf tragic. Martin loves to make people laugh, and seeing happy people. “When owners and families come down to one of our marinas, they’re happy and positive. Why wouldn’t they be? They’re about to step onto a beautiful boat that’s ready to go and spend time doing something they love, as well as spending quality time together. Find new boat share opportunities here.